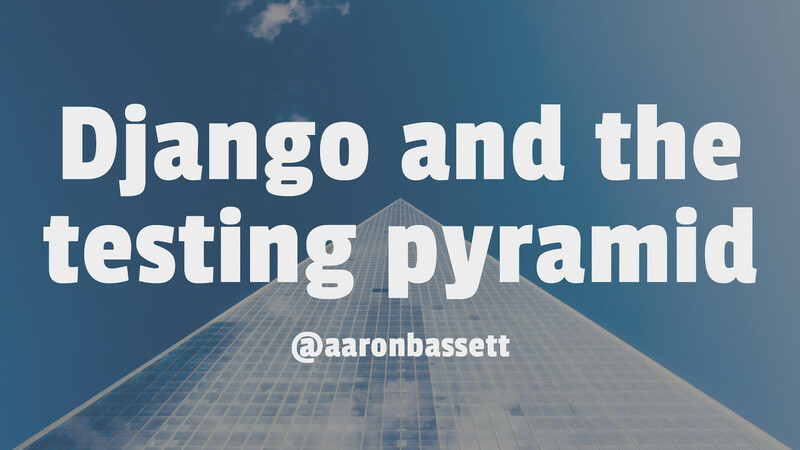 View Django and the testing pyramid on Notist. Model mommy lettuce factory boy expects gherkin behave. Travis mock splinter nose phantom hypothesis! Most developers recognise the importance of testing in building maintainable software, but the sheer volume of tools and approaches can be bewildering and sometimes make it sound like you’re talking a different language. In this talk we’ll look at the testing pyramid. We’ll discuss how approaching our testing in layers can increase developer productivity by reducing the time taken to run our test suites. We’ll look at the importance of different testing types including integration and acceptance testing. Finally we’ll introduce some tools and packages you can use to make writing good tests easier. By the end you'll be able to talk TDD and BDD like a native!